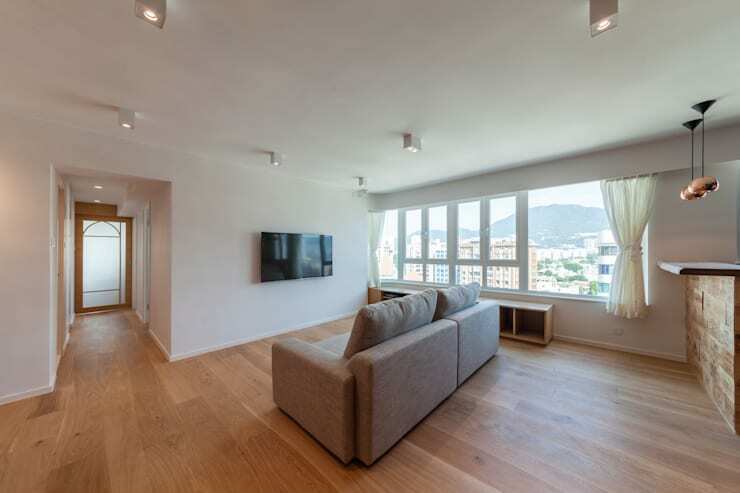 Whether you live in a tiny apartment or a large villa, saving space is an essential domestic undertaking. Employing each and every nook and cranny in the most effective and efficient way possible, safeguards against making your day-to-day life difficult or stress inducing. After all, we spend so much of our time in our abode, as it is the main space to relax, unwind, sleep, rest, and socialise. For the majority of us, home is where the heart—and so, it’s essential to make our dwelling a place that complements our individual specifications and requirements, even if they are space-limited. Luckily, we’ve got you covered! 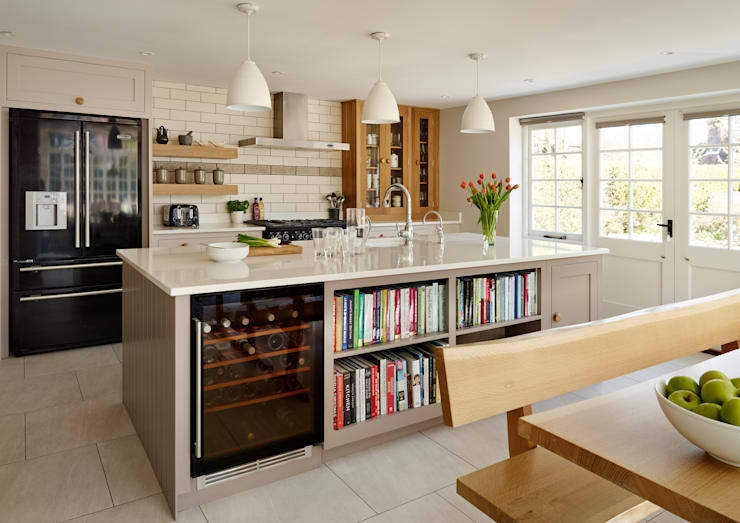 Here are a few nifty space-saving solutions to offer a little inspiration on how to utilise your home’s confined areas and create an efficient, stylish and sophisticated space. Read on below for our 10 space-saving secret weapons! 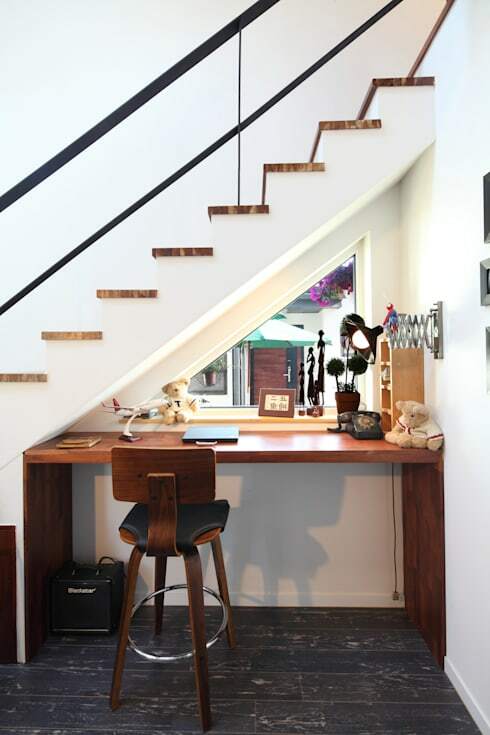 Under-stair space is almost always underutilised. 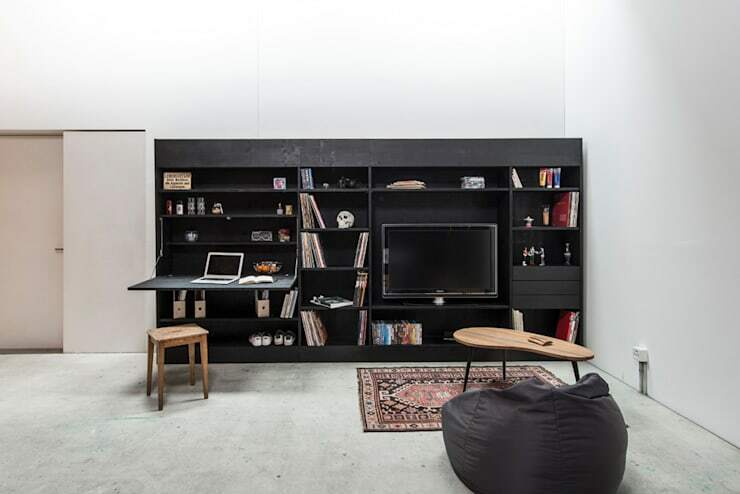 Check out this neat workspace that fits in brilliantly with the overall minimal ambience of the dwelling. Consider drawers, storage options and separate rooms, as well as an extra washroom if you can fit it! This bed looks totally normal and stylish, but it is hiding a surprising bonus underneath the mattress. Choose a sleeping space with added storage to improve your home’s efficiency, as well as look great. If you need assistance decorating your bedroom, chat to a professional via the homify website and get a little expert advice today! 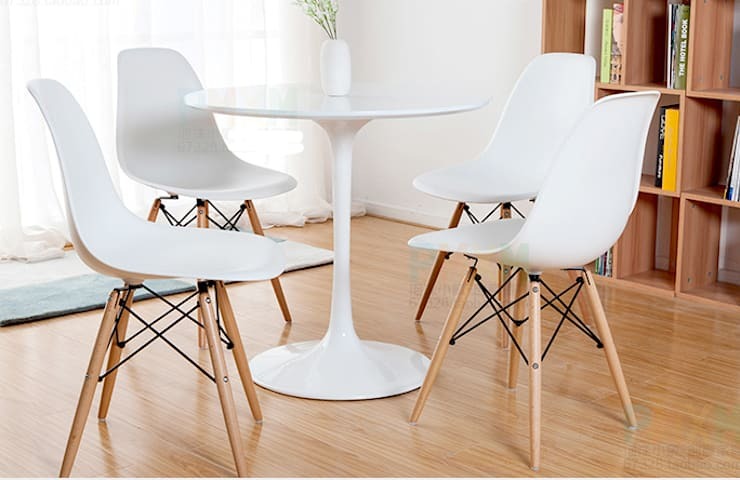 This wonderful retro style table does more than offer a place to sit; it is an all-round space-saver, and a stylish addition to any home. The perfect aspect about the pedestal table is its ability to hide chairs underneath, meaning once they are tucked away, it can fit in the tiniest of spaces. Make the most of your most important kitchen cupboard and ensure you utilise each centimetre to its full potential. 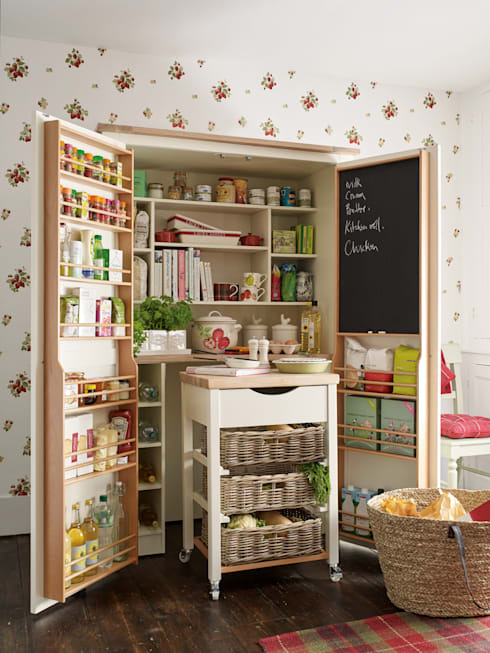 This example is a fabulous illustration of a well-organised pantry, which boasts a place for absolutely everything! Do you live in a studio or one-room apartment that makes it difficult to decorate and design your dream home? You’re not alone; living in a compact space is hard, but made harder with an extremely limited floor plan. Choose multi-purpose furniture that will assist in providing many uses, not simply one. 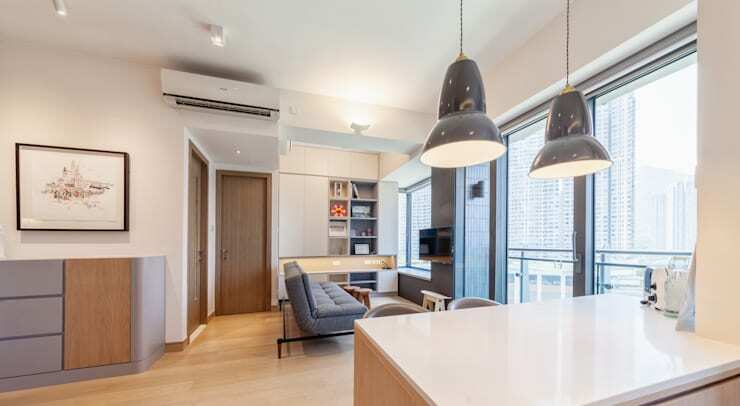 In this gorgeous Hong Kong apartment, we see that the designers have chosen a sofa bed for the main living quarters. This is ideal if you have friends to stay, or simply need a second sleeping area. 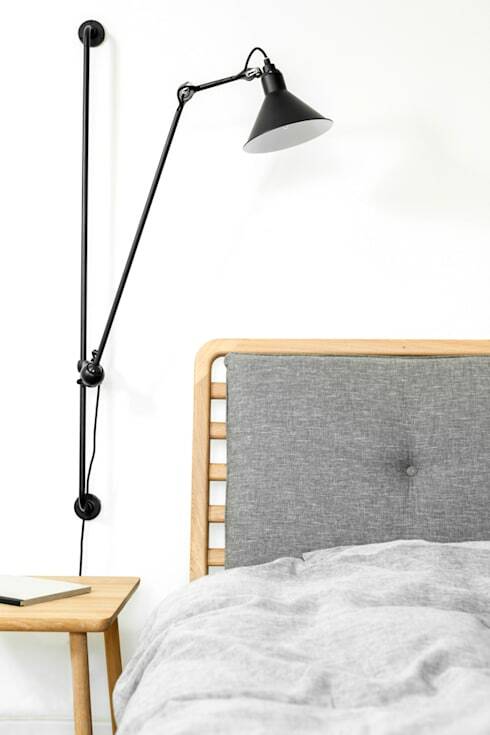 If you are working with a compact bedroom, chances are you will have difficulty finding an area for your side table or lights. Invest in the wall-mounted variety to ease the design issues, while creating a statement for your space. This space-saving wonder will revolutionise your dwelling with its all-in-one ability to organise! Featuring a space for a fold-out desk, a television area, as well as plenty of shelving, this customisable unit is ideal for tight spaces, studio apartments, or those wanting an orderly abode. Tired of looking for somewhere to put your entertainment cabinet, or a surface for your television? Invest in a sturdy wall bracket to ensure your home is neat, tidy and easily accessible. Last up, we head back into the kitchen to check out a kitchen island that truly boasts the most! Replete with a wine fridge, plenty of bookshelf space, as well as additional storage, this setup is a cut above the rest. If you have a kitchen island in your home, consider repurposing it to make the most out of its space, and watch your room transform! How do you save space in your own home?